From the American Orchid Society award description - “Seventeen flowers well presented on one branched, moderately tall, arched inflorescence; sepals and petals brassy chocolate brown with fine yellow filigree margins, sepals with muted yellow bands; lip prominent, ruffled, bright sulphur yellow”. 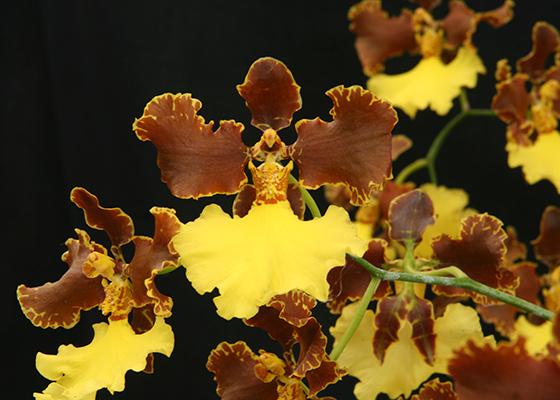 From the cross of Oncidium crispum with Mantinii.Temperature Tolerant. June blooming.